Diamond Charlie has raced to the lead in the NSW Picnic Champion Series following his two-length win in the Cootamundra Picnic Cup (1400m) on Saturday. Ridden by Billy Owen, the $2.10 favourite defeated Oh What a Thief (Willie Pearson, $2.60) and Dream on Stan (Ricky Blewitt, $5). The win elevated the horse to lead in the Series pointscore on 34 points and he is now five clear of Butterfly Sky with Spinning Dawn (28 points) in third position on the ladder. Diamond Charlie's win also brought up a hat-trick for the gelding, having previously won the Crookwell and Yass Picnic Cups. 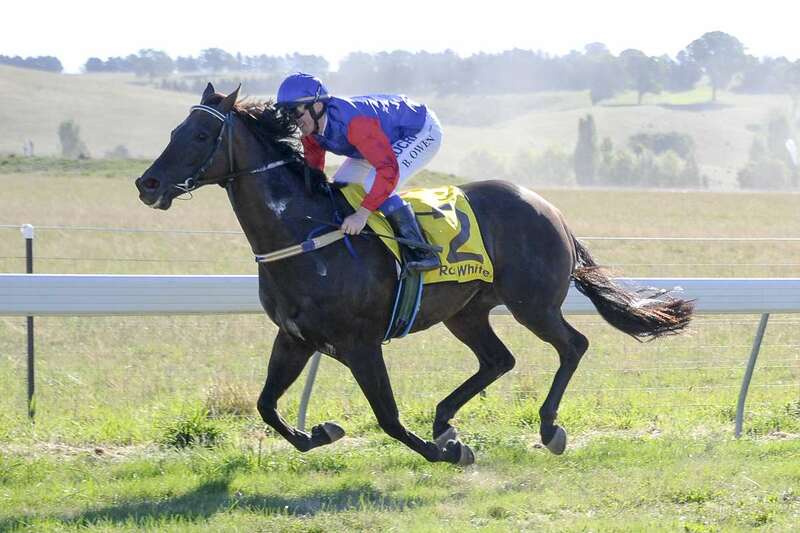 Layo Layo entered the scoring when she snared seven points for her victory in the Cootamundra Picnic Sprint (1100m). The seven-year-old, also ridden by Billy Owen, had a length to spare after being sent out the $2.20 favourite. Lightning Alert (Shannon Fogg, $2.50) was runner-up with Benno's Boy (Willie Pearson, $2.50) a long head away in third place.